Silver Mines in Australia — Who’s Digging, and Where? Where are the silver mines in Australia? You might be surprised to learn that the country is home to one of the world’s top primary silver producers. Mining is a big part of Australia’s history, and it continues to shape the country’s economy and position in the world today. The nation is one of the world’s top producers and exporters of resources, with coal, uranium, copper and gold being some of its best-known commodities. Australia is also a key producer of silver — it was the world’s seventh-largest producer of the metal in 2017, putting out 1,200 MT. Interestingly, the majority of the country’s silver is produced as a by-product at highly mechanized underground lead–zinc and/or copper mines. Refined silver comes mainly from the Port Pirie lead smelter and refinery in South Australia, though silver is also refined at gold refineries in Perth, Kalgoorlie and Melbourne. But where are the silver mines in Australia exactly? While it’s interesting to know what types of deposits the precious metal is found in, many investors want to know what companies are producing silver and where their mines are located geographically. Read on to find the answers to those questions. Where are the silver mines in Australia? Silver has played a role in Australia since the mid-1800s — Wheal Gawler, Australia’s first metal mine, was a silver-lead mine developed in South Australia in the 1840s. And that’s not Australia’s only early silver-mining operation — the Broken Hill deposit in New South Wales and the Mount Isa deposit in Queensland are two other early Australian silver discoveries. Broken Hill, a lead-zinc-silver deposit, was discovered in 1883 by German immigrant Charles Rasp, and the Broken Hill Proprietary Company was born in 1885; it ultimately merged in 2001 with another mining giant, Billiton, to form BHP Billiton (ASX:BHP,NYSE:BHP,LSE:BLT). BHP Billiton is no longer involved with Broken Hill, but ore is still being extracted there today. For its part, Mount Isa was discovered in 1923 by John Campbell Miles, and like Broken Hill is still producing today. It was acquired by Glencore (LSE:GLEN) in 2013 and is also a major producer of zinc. These major early Australian silver discoveries are not the country’s only sources of silver. Other silver mines in Australia include Cannington, one of the world’s top primary silver producers. It’s a fly-in, fly-out mining and processing operation that’s owned by South32 (ASX:S32,LSE:S32), a diversified resource company spun out from BHP Billiton in 2015. Cannington also produces lead and zinc. Australia holds the McArthur River mine as well, which opened in 1995 and is owned by Glencore subsidiary McArthur River Mining. The mine is one of the world’s largest zinc-lead-silver mines, and is located in Australia’s Northern Territory. Glencore’s 2017 annual report claims total silver production of 37.7 million ounces for the year, representing a 3-percent drop from 2017. That includes 7.1 million ounces from McArthur River. The Century mine, which previously belonged to MMG (HKEX:1208), shut its doors at the end of 2015, but was a major producer of zinc (and silver) until that time. It was reopened in mid-2018 by New Century Resources (ASX:NCZ) — the company says it now has an estimated annual production capacity of 264,000 tonnes for zinc and 3 million ounces for silver. Independence Group (ASX:IGO) also produces silver, along with copper and zinc, at its Jaguar operation in Western Australia. Gold producer Silver Lake Resources (ASX:SLR) owns some projects with silver reserves as well. As you can see, there are and have been many silver mines in Australia. Future silver mines in Australia? In addition to being home to a slew of large silver mines, Australia also plays host to many companies that are exploring and developing silver projects. Below are a few that have made recent progress. Please let us know in the comments if we’ve forgotten to mention any Australia-focused silver companies. All companies listed had market caps of at least AU$5 million at the time of publication. Argent Minerals (ASX:ARD) — Argent Minerals’ main asset is its 100-percent-owned Kempfield polymetallic project in New South Wales. In May 2018, the company announced an updated resource estimate for the asset — its silver equivalent contained metal now stands at an estimated 100 million silver equivalent ounces at 120 g/t silver equivalent; that’s approximately double the previous estimate. In total the company has three projects, with all of them being in New South Wales. 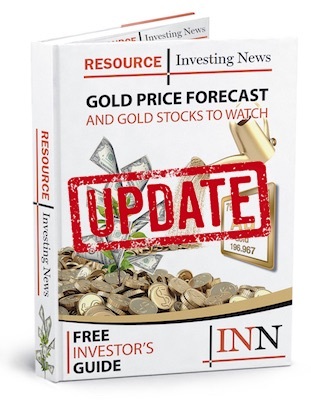 Investigator Resources (ASX:IVR) — Investigator Resources is advancing silver, copper and gold deposits in South Australia. Currently its properties include the Peterlumbo/Paris silver project, the Eyre Peninsula and Stuart Shelf projects and the Northern Yorke Peninsula projects. The total resource for Paris stands at an estimated 9.3 million tonnes at 139 g/t silver and 0.6 percent lead for 42 million ounces of contained silver and 55,000 tonnes of contained lead. MacPhersons Resources (ASX:MRP) — MacPhersons Resources has a number of advanced gold, silver and zinc exploration projects in close proximity to Kalgoorlie. Its focus is on its Boorara gold project and nearby Nimbus silver-zinc project. Nimbus has a high-grade silver-zinc resource estimate of 255,898 tonnes at 773 g/t silver and 13 percent zinc; the total Nimbus resource stands at 1.2 million tonnes at 52 g/t silver, 0.9 percent zinc and 0.2 g/t gold. PNX Metals (ASX:PNX) — PNX Metals’ main focus is on its Hayes Creek zinc-gold-silver project, which holds the Iron Blow and Mount Bonnie volcanogenic massive sulfide deposits in Australia’s Northern Territory. A resource estimate for the property shows that Iron Blow and Mount Bonnie contain 177,000 tonnes of zinc, 238,000 ounces of gold, 16.2 million ounces of silver, 37,000 tonnes of lead and 10,000 tonnes of copper. A definitive feasibility study is in the works and is due for completion in 2018. Silver Mines (ASX:SVL) — Silver Mines bills itself as a leading Australian silver exploration company, and has spent a considerable amount of time acquiring Australian silver projects — those include Malachite Resources’ (ASX:MAR) Conrad project and Kingsgate Consolidated’s (ASX:KCN) Bowdens silver project. Now that you know where to find the silver mines in Australia, do you think you would invest? is there any chance that I can find silver in farms at the southern region of south Australia like kape Jarvis or some thing like that ?? ?